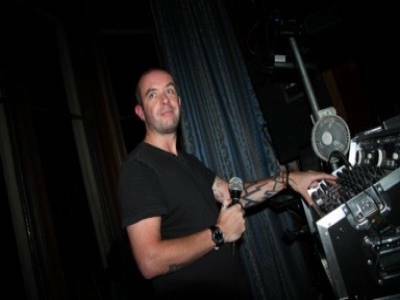 DJ Chris Mack has been Djing since the early 90s - from being a club DJ in Zante to a Rock and Roll DJ in Hong Kong, Chris has established himself as an Out of the Box style mobile DJ. A personalised service, from Weddings to Specialist Nights Chris can cater for all needs and music tastes. Theme nights can include 70s, 80s, 90s, 90s old skool dance (with decks), rock, indie and alternative. 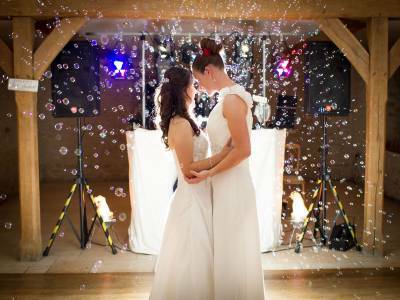 With a modern lighting effects rig and both bubble and flame machines (if required), Chris can cater for your Wedding, Birthday, Prom Night, Corporate Event all with music and lighting to suit you. Specialists in Rock, Indie and Alternative music styles. For weddings please check out the new weddings page on my website. It has FAQs, what you get and additional testimonials. Required by many venues, DJ Chris Mack has a current PLI policy with DJGuard / in the amount of £5 million. 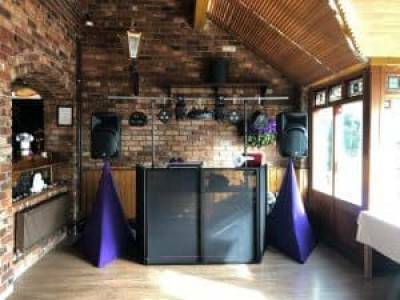 Also required by many venues, DJ Chris Mack has supplied satisfactory evidence of holding current PAT inspections of their equipment dated within the last 12 months. A Method Statement outlining DJ Chris Mack&apos;s Health & Safety procedure for setting up disco equipment has been provided. DJ Chris Mack has provided Risk Assessments undertaken at events sourced via needadisco.com, indicating that they can undertake these competently. Why do people choose to book DJ Chris Mack? He was very good value for money and offered the type of music we are after. first to respond and was happy with the music choice and he was great to talk too. 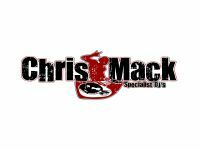 "Chris Mack is a first class DJ. Really friendly and accommodated our music and put our favourite 20 songs onto a CD for us to keep. Thanks Chris, you're a star!! " "No complaints Chris is phenomenal at what he does and really care about his customers. Would recommend without hesitation." "chris mack is a fantastic dj and we had a really great evening he seems to be able to read peoples minds and know what music everyone likes I will defenatly use him again top man chris"
"Great pre-event contact with Chris, and then Adrian did a great job on the night, being flexible with start time and playing a good selection (genre as requested)"
"I cant recommend Chris enough, he was absolutely fantastic and the music was brilliant, the dance floor was full the whole night and we have had so many guests come to us saying it was the one of the best disco\'s they had ever been to. Thank you Chris, you made our special day perfect"
"We were really happy with Chris. He was professional and organised before the wedding and arrived in lots of time to set up on our wedding day. Chris played some great music and people were dancing all evening, even with it being great weather outside. we have enjoyed listening to the compilation CD Chris gave us after the wedding." "A very friendly and kind man. Made me feel completely at ease. Worked hard to keep me in the loop and only wanted to provide the very best. We would fully recommend this DJ! Thank you, chris!" "Chris was great. We put in a request list in advance which he incorporated in to the set. Really helpful and always checked if everything was ok. Really pleased we went with him. Thanks Chris"
"Chris Mack is excellent, he really only ever wants to do what is right for you, he went out of his way to make sure he got a good idea of the music we wanted to listen to. The lighting and bubble machine for our first dance was fantastic. I would recommend him to anyone looking for a DJ." "Chris was brilliant, and I felt bad paying him as little as he charged, as he was worth twice the price. Everyone at the wedding commented on what a great DJ he was, and the little extras like phoning me beforehand to get more details & to introduce himself, and getting some of his own photos and videos which he have to us afterwards as well as the CD of all of the wedding songs were really nice touches. I would recommend him to everyone." "I can recommend Chris for a wedding disco - all good!" "Very good. Would certainly book him again." 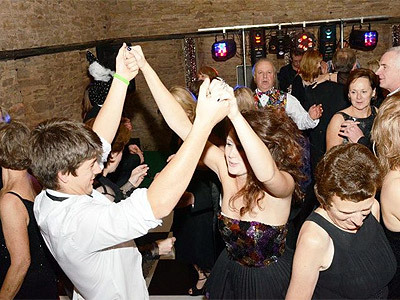 DJ Chris Mack also offers a range of additional party services not directly linked to musical entertainment. If you are contacting DJ Chris Mack about an event, it's always a good idea to include the DATE, LOCATION, EVENT TYPE, AGE GROUP and TIMINGS to speed things up!